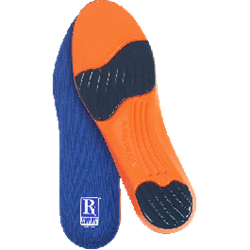 The RxSorbo web page showcasing volleyball shoe insoles has been updated in time for the Fall indoor volleyball season. Please visit it to learn more about insoles available for use with indoor footwear. Fall is the time that volleyball comes into its own. RxSorbo, a leading online retailer of top-rated shoe insoles, is pleased to announce that the landing page for volleyball shoe insoles has recently been updated, to aid athletes in choosing the highest quality and best performance insoles for their sport. A volleyball player, you are constantly moving, and sustaining a lot of impact on your feet. The most important fact about the conditions that volleyball shoe insoles must accommodate is contained in the old saying: What goes up, must come down. A player is constantly jumping to hit and block the ball, and then gravity takes over. It is vital that the athlete’s shoe contain insoles that are designed to comfort the foot and reduce the stress of impact on the feet. Visit the RxSorbo volleyball landing page to learn more.